“The following memoranda have been made with the desire of gathering and preserving so much of our family history as can be collected from existing sources. It is unfortunate that this work was not undertaken by one of an earlier generation, when descendants of advanced age were living, whose remembrance went back to Colonial days, and who might have communicated facts and reminiscences now irrevocably lost. As a new family settling in on Beacon Hill in 1885, the Nichols family was keen to establish themselves as a prominent family with strong Bostonian roots. They accomplished this by emphasizing their ancestry, as Arthur and Elizabeth Nichols could both proudly trace their ancestors back to Massachusetts in the 17th and early 18th century, respectively. By 1910, Arthur had joined the New England Historic Genealogical Society and completed a genealogy of his family, successfully tracing his roots to a New England colonist, Richard Nichols, who settled in Ipswich, MA, in 1638. The family’s ancestral pride is evident within their home at 55 Mount Vernon Street, as three ancestral portraits are part of the permanent collection. For many years, companion portraits of Arthur’s grandparents, Timothy and Susannah Nichols, hung in the entry. The portraits were commissioned by Arthur’s uncle, Charles Nichols, in 1835, and inherited by Arthur during the early 1900s. Rose kept the portraits in the entry hallway, making the family history immediately apparent to anyone as they entered the home. 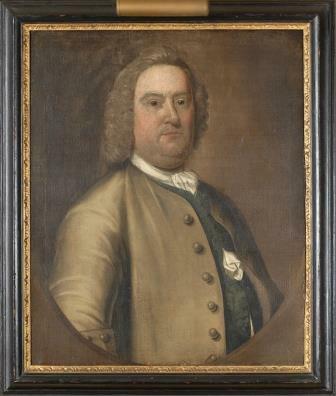 Another ancestral portrait, acquired by Rose in the 1930s, was that of Thomas Johnston – an ancestor of Elizabeth Nichols, and a Massachusetts colonist in the early 1700s. 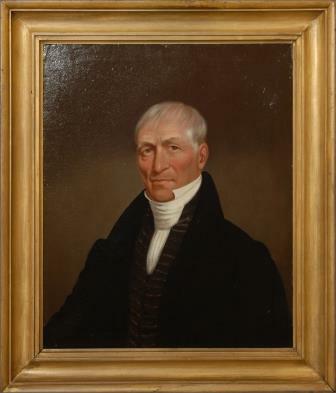 Johnston was a skilled artisan – he painted many portraits, japanned furniture, engraved maps, and cut gravestones – but is well-known in Boston for installing the organ and organ case in Old North Church. 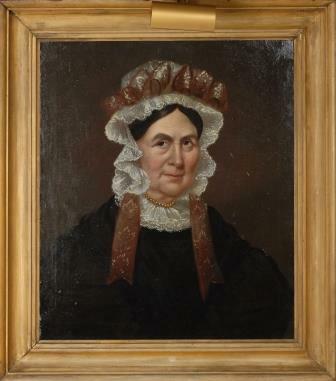 It is clear that this portrait was important to Rose, as she briefly moved it to the parlor from its location in the dining room, in order to feature it in a photograph that would be published in an article for J.P. Marquard’s “Holiday” magazine. By leaving the family home as a museum open to the public, Rose secured the Nichols family a lasting place of prominence on Beacon Hill for decades to come.